Jones Homes has saved the very best for last as it launches its new Signature Collection at Kingsborough Manor, considered one of the most prestigious new housing developments in Kent. Jones Homes reserves its highest specification exclusively for the Signature Collection, which is only found at selected flagship developments. 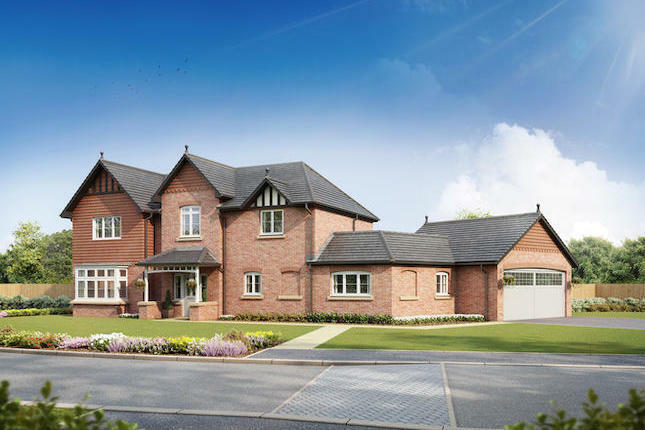 This luxurious range of properties features a choice of sophisticated four and five-bedroom detached houses, with each home lovingly crafted down to the very last detail. They’re the kind of homes that people dream of living in – with impressive use of space and light throughout and fabulous open-plan kitchens that are just perfect for spending time together, relaxing and socialising. Exclusive finishing touches include stunning bathrooms and en suites complete with Villeroy and Boch sanitaryware, Hansgrohe taps and a choice of full height wall and floor tiling by Porcelanosa, while kitchens beautifully combine form and function with top-of-the-range appliances. And of course, with Jones Homes’ commitment to traditional building values, the quality of construction is second to none. Outside, meanwhile, wide paved driveways and large gardens provide the ideal setting for the distinctive exteriors of these elegant homes. All in all, the Signature Collection makes a spectacular impression. Be amazed by Sheppey! Surrounded by beautiful countryside and blessed with award-winning beaches, good local schools and excellent commuting links, Sheppey provides a location and lifestyle that many people can only dream of. Life in Eastchurch can move at any pace you choose; as home to the Swale National Nature Reserve and the RSPB site at Elmley Marshes and with coastal walks, water sports and golf on offer - there are many ways to enjoy the Island life. Coastal pursuits and water sports including yachting, surfing and windsurfing are an integral part of island life. Award-winning beaches can be found at Minster, Leysdown and Sheerness. There’s a sailing club at Sheerness on the north coast and an around-the island race takes place every year. The open countryside is ideal for cycling and walking and the Swale National Nature Reserve and the RSPB site at Elmley Marshes provide breath taking scenery as well as a haven for birds and wildlife. The golf course at Minster is a long and flat matured semi-links course with many natural hazards to challenge golfers. Minster has it's own primary school, nearby you have Elliott Park Independent day school which also in Minster is only 2.9 miles away. On the island there is Oasis Academy which is a mixed Secondary School and nearby Sittingbourne offers reputable grammar Fulston Manor School. Further afield you'll find excellent shopping facilities at Bluewater which is 34 miles away offering department stores, fashion shops, lakeside dining and cinema. Access to the mainland couldn’t be easier as the new bridge offers access to the M2 in approximately 10 miles and M20 in 15 miles, 15 and 20 minutes respectively. Ebbsfleet International Station, which offers easy access to the continent and a direct high speed rail service to London St. Pancras in only 17 minutes, is approximately 48 minutes from Kingsborough Manor. Commuting is easy with access to the M2 and M20 and rail links with the mainland via the Sheerness Line. The nearest hospital is Sheppey Community Hospital minor injuries unit which is 2.9 miles away. There is nearby doctors in Queenborough and also Leysdown, both around 6 miles away. Kingsborough Manor is situated at Hustlings Drive, which leads from Court Tree Drive, just off Eastchurch Road ME12 4JX. The images shown are typical show home photography or CGI’s for illustrative purposes only and not necessarily the advertised property or development. Furthermore, internal photography may show an upgraded specification. Please ask the Sales Advisor for details.